​​​​​​​​We have been part of the Boulder community for more than 10 years enjoying serving our community. After a decade of being at one location we have relocated to a wonderful new space. We are thrilled with our new space and look, and invite all of our clients; old and new, to visit us soon. 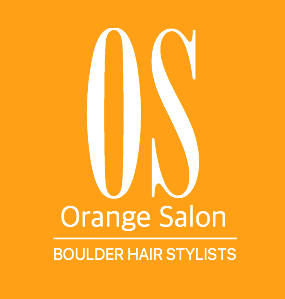 At Orange Salon we welcome and service women, men and children. We understand the individuality of every client, and work with everyone to answer their request while providing our best advice on what makes them look their best. We know that our clients love our prices and we thrive on providing a service that makes them a recurring client of our salon. Do you have a small group that neess to get ready for a special event? Call and get an special offer with the booking of two or more services combined, per person, in a group of three or more. (+) Base prices. A consultation is neccesary to determine time and price of service accordenly.